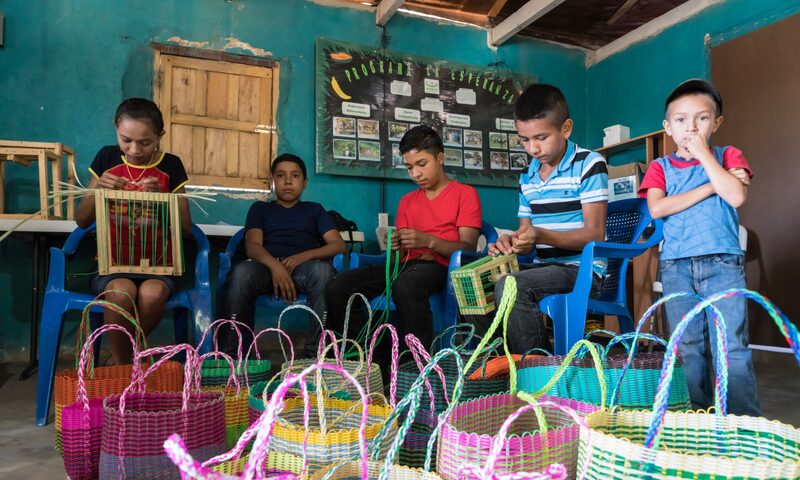 It’s been almost a year since the launch of the Chorti Project, on the border between Guatemala and Honduras, and things are on track despite a few early setbacks, said Bruce Petch, President of World Neighbours Canada. In July, Project Coordinator Floridalma Lopez provided an update on the project. “In Jalapa the organizing activities and that of the project were delayed the whole month of May and the first two weeks of June due to the territorial issue with the ‘state of siege’ declared in the region due to the indigenous communities’ position against mining projects,” stated Lopez, outlining that the obstacles were met on the Honduran side of the border. But despite the interruption, things are still on track. Lopez’s report explains women in four communities were supplied with hens and roosters, and communities’ technical and operative capability on production of low cost, homemade blends of feed for the chickens was improved. During a training workshop presented by Chorti women, four women in Copan Ruinas were trained in production of food for the birds, vaccination, and techniques in raising free range chickens. Another component of the project in Jalapa was a plan to buy corn when prices were low and make it available to families when market prices are higher. Price checking, buying, and transporting organic corn in Xalapan to promote a solidarity market have been completed, according to the report. “The sales will start in the months of July, August and September which is when the families run out of their feeding capability,” Lopez stated. As the rate of murder and violence in the area is among the highest in the world, fear is faced regularly by indigenous women in the two countries – something else addressed by the project. Final plans include a focal group from the AMISMAXAJ (Xinka women’s) organization facilitating a school for healing and transformation of fears of the Chorti women from Honduras. Conditions for coordinating the women’s training at the feminist school for healing and transformation of fear were created. This training was to take place from July 22 to the 26.